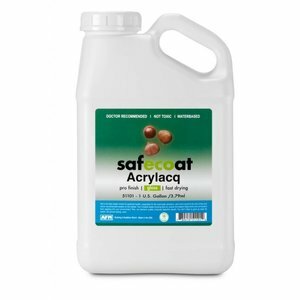 Safecoat Acrylacq is a durable water-based replacement for high solvent lacquers. Acrylacq seals in outgassing from substrates, such as wood trim, doors, paneling, furniture, cabinetry and railings; it has superior resistance to staining, marring and fingerprinting. 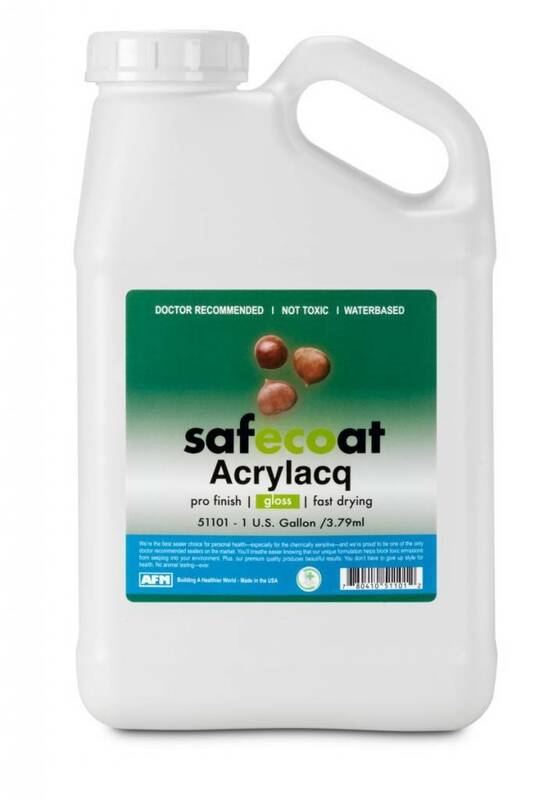 Acrylacq may also be used on some vinyl and other plastic surfaces. Dries clear. APPLICATION: Apply liberally with a quality nylon brush, pad applicator or spray applicator, keeping a good wet edge; avoid overbrushing. A minimum of three coats is usually required; sand with aluminum oxide or silicon carbide sandpaper between coats. COVERAGE: 350-450 sq ft per gallon, in one coat. LIMITATIONS: Acrylacq is made without formaldehyde preservatives. Do not contaminate. Store in airtight containers.